Worldwide, the use of health system data to guide decisions on how resources are allocated is rising rapidly, and ministries of health and national health programs are seeking ways to ensure that the quality of health system data is reliable. As a result, data collection, collation, reporting, and use are increasingly under scrutiny, and efforts to strengthen health information systems (HIS) must focus on improved health program monitoring and evaluation (M&E), beginning with standardized baseline capacity and performance assessments. To help meet this need, MEASURE Evaluation, the flagship M&E and HIS strengthening project of the United States Agency for International Development, and its Kenya associate award, MEASURE Evaluation PIMA, have developed a process and toolkit to conduct a standard baseline assessment of M&E capacity: the Monitoring and Evaluation Capacity Assessment (MECAT) Toolkit. 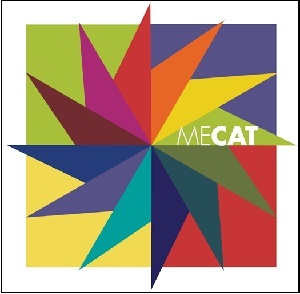 This document presents an overview of the MECAT tools. This document guides users through the MECAT toolkit. This is the MECAT individual assessment tool. This is the MECAT group assessment tool. MEASURE Evaluation PIMA supported the Kenyan Ministry of Health to develop guidelines for the institutionalization of M&E in the health sector.